The fourth Alloway 1759 event on Sunday 29 January celebrating the birth and life of Scotland’s national Bard, Robert Burns has again been hailed as a resounding success. 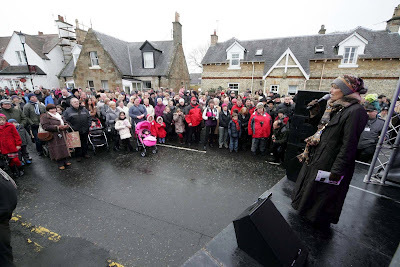 People from all over South Ayrshire and some from well beyond, enjoyed sights, sounds and tastes from a bygone era, marking the work and legend of the nation’s greatest Scot. Opening the event, South Ayrshire Provost Winifred Sloan (pictured above said: “Alloway 1759 is now in its fourth year – having been created to mark the Year of Homecoming in 2009 – and it has fast become a ‘must see’ attraction. 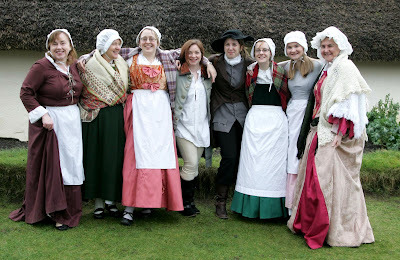 “Alloway village was transformed into a time gone by and it really added to the fun family event. There really was something for everyone to enjoy, music, poetry, acting, singing, dancing, walks and much more. Councillor Margaret Toner, Portfolio Holder for Economic Development, Tourism and Leisure for South Ayrshire Council said: “Every year this excellent event keeps growing, with new and innovative ideas on ways to celebrate the life and works of Robert Burns. Events in Alloway took place in and around Burns Cottage and the Robert Burns Birthplace Museum and many of them were free. Visitors enjoyed celtic music, Ayrshire Farmers Market, Maybole Pipe Band, the arrival of Rabbie, an outdoor Ceilidh, Hipshot theatre company, Alloway Amble, poetry recitals, singing, haggis hurling and much more. All weekend there were guided tours of Rozelle House available. 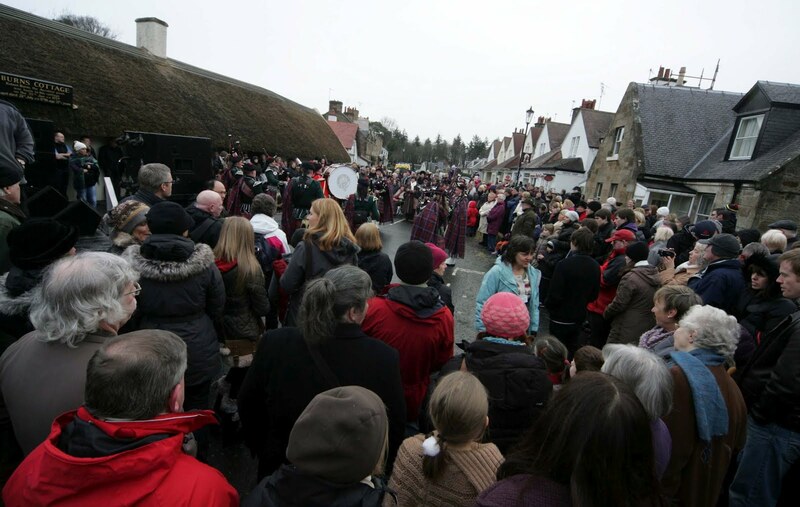 Alloway 1759 was the first of two annual events in South Ayrshire celebrating Burns. The next event, the Burns an’ a’ that! Festival will take place from Wednesday 30 May to Sunday 3 June 2012.